The moment you walk onto a DCS campus you are family and getting involved isn't hard at all! From the Discipleship Classes in Elementary and Middle School to the clubs in High School, like Student Council and Mock Trial, to the lunch time or after school Bible studies, and especially the class trips and all school retreat! 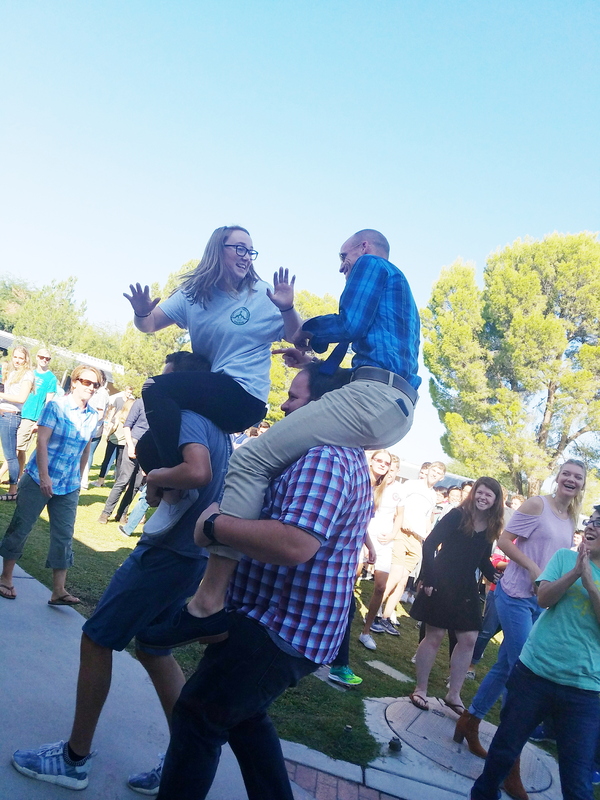 Students at Desert are never without something to do and some way to connect with each other and grow and learn more about themselves! Fall Field Day- a favorite day at the K8 where students spend the day in 'mixed grade' teams traveling around the campus competing in obstacle courses, minute-to-win-it style challenges, and of course the oldie but goodie...TUG OF WAR! The Boys in Blue- a standing tradition held by 4 senior guys. 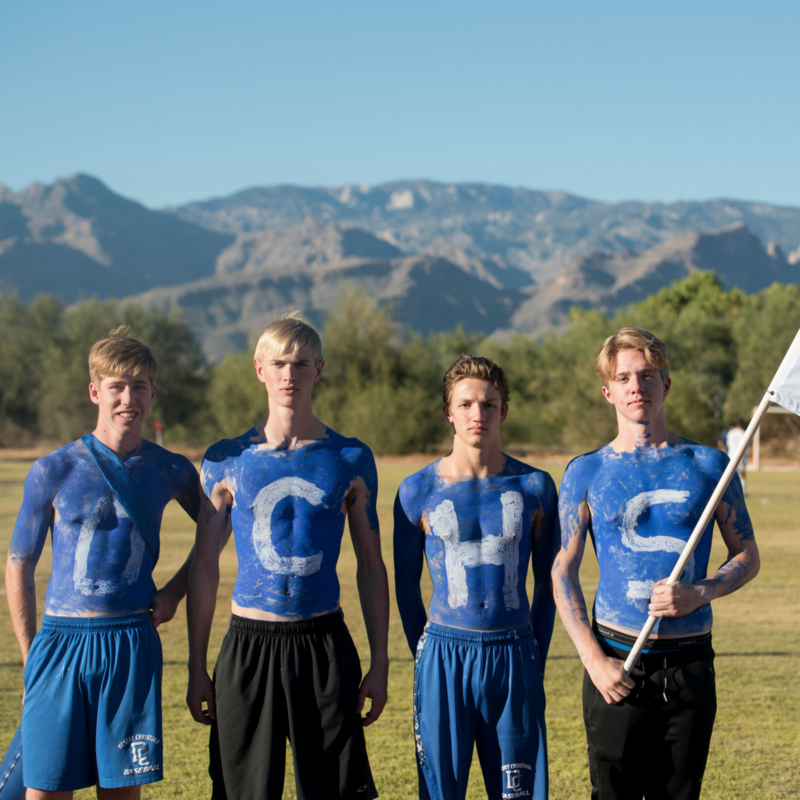 They make appearances a different games throughout the year and always bring that DCS Spirit! Making Connections - seniors host a Christmas party for the 8th graders so they can hang out on the high school campus, get to know upper class-men, and encourage and support them as they get ready to make the transition to high school. 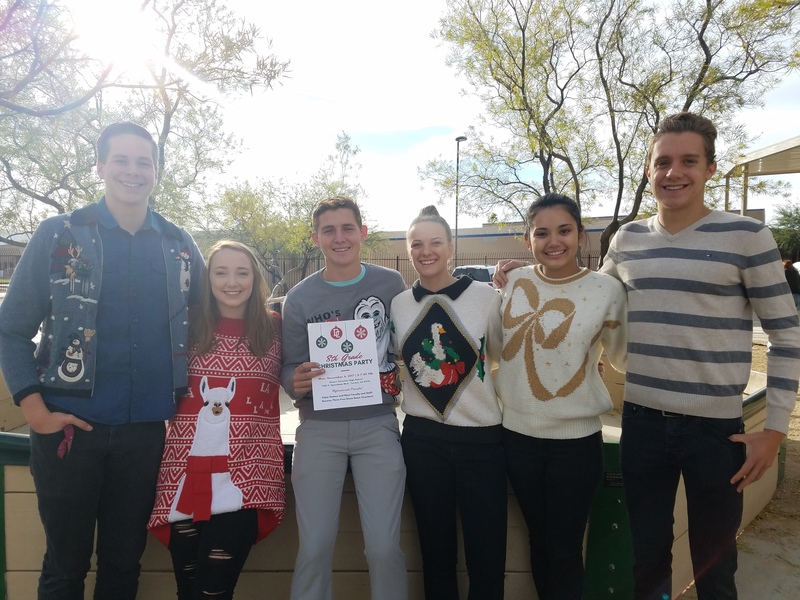 And no Christmas party would be complete without ugly sweaters! 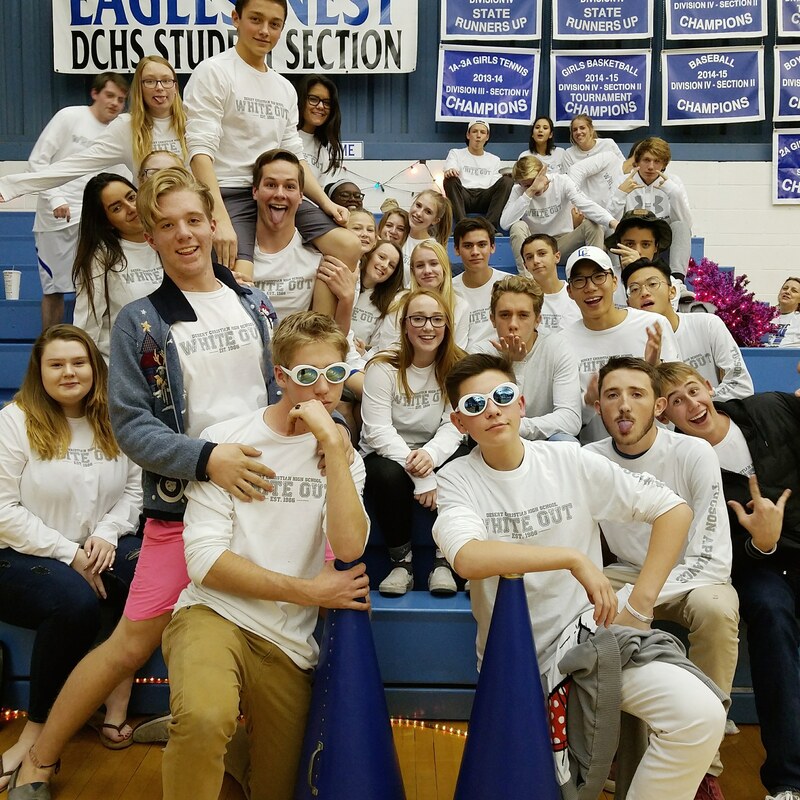 A little DCS fact- our students/fans are nicknamed "The Screaming Eagles!" This nickname originated when our gymnasium was established in 2001! During sporting games, especially home basketball games the gymnasium trembles with cheers, "Let's go Desert!" There are nothing quite like DCS fans! Feels Like Family - no student is too big or too small at Desert! 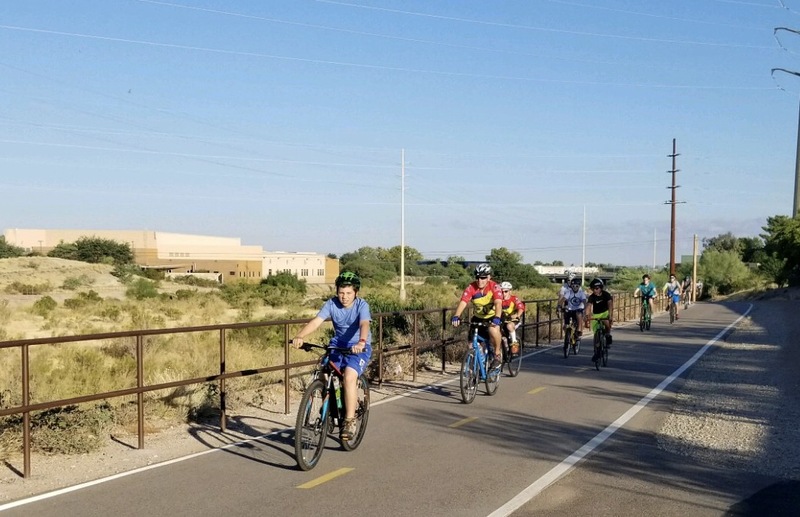 Discipleship Cycling Club- this year the whole team competed in the Jr. Tour de Tucson! 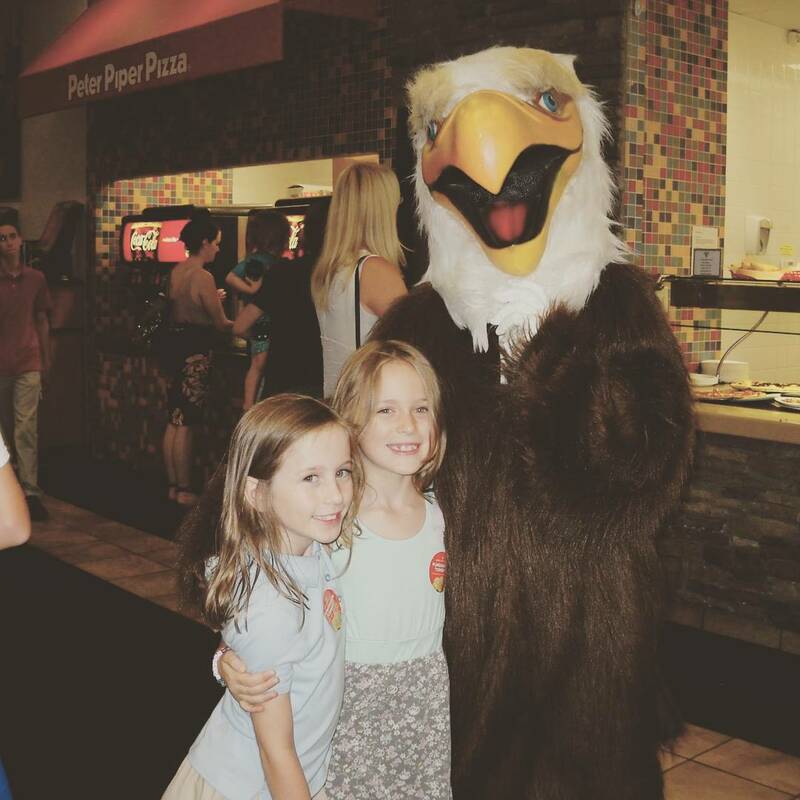 Home of the Eagles- our eagle loves stopping by different events! Student vs. Teacher - our student and teachers have a lot of respect for each other and love to challenge each other in all areas of life!